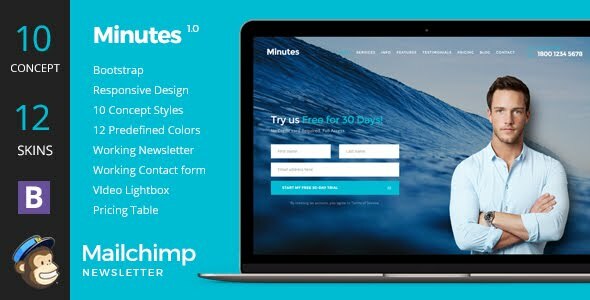 Minutes – A perfect landing page to show off your website to this world. You can use this landing page for all type of products, apps, eBooks, Software’s. Its multipurpose. This template was designed with Responsive design, Bootstrap, HTML5 / CSS3 , Responsive slider, Testimonial Carousel, Working Contact form, Google map and much more..